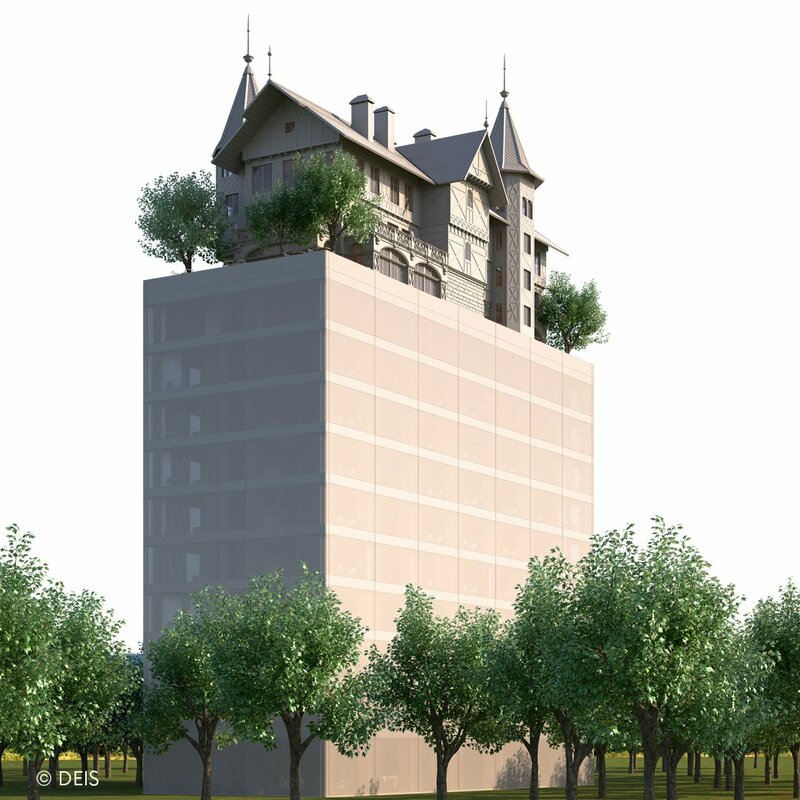 Presented at MIPIM (international property market) in Cannes on 15th March, the first hotel designed entirely by Philippe Starck will open its doors near the Centre Pompidou-Metz in the Amphitheatre Quarter in Metz. The phantasmagoric project for this incredible hotel has been managed by Yvon Gérard, Maison Heler and the Hilton Group. The celebrated designer was present in Cannes, where the Hilton Group unveiled the maquette for the hotel. The building will be one of the 50 remarkable hotels in the “Curio by Hilton” collection. It will have 119 rooms and suites spread over 14 floors, topped by the famous replica of the Salomon Villa (on avenue Foch, in Metz). It will also have a restaurant and cosy bar-salon. This will be the first hotel entirely created and developed from scratch by the French creator, who imagined it as a liveable work of art, surrealist and poetic, echoing the Centre Pompidou-Metz. Following the presentation, numerous national and international media published the information, including Le Figaro, Le Parisien, IDEAT, Dezeen etc. Attention locals and visitors! Straight from Cannes, the maquette is now on display at Metz City Hall in the Salle des Pas Perdus.